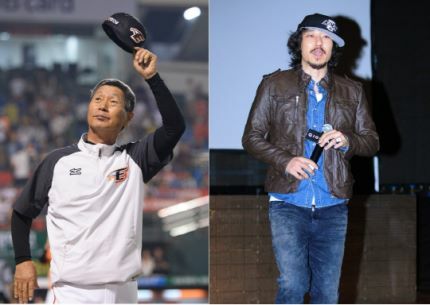 According to the Korean baseball League, the HanWha Eagles are preparing a top secret cheer project with hip-hop legend, Tiger JK. The Eagles are having a great year and have a strong fan following. The team believes this project with Tiger JK will strengthen team spirit. Fans of the Eagles have been using an old cheer anthem, and the new anthem will mark a new chapter in Eagles history. This year, team manager, Kim Sung Guen, has led the team on a winning streak, earning his name as “Baseball God.” The HanWha Eagles are now amongst the top 5 teams. This cheer project for the Eagles will include a partnership with Tiger JK’s project group, MFBTY. It will also embed Tiger JK into baseball history. Tiger JK’s song, “Monster,” is already a much loved cheer song by baseball fans. The baseline to “Monster” (bam-ba-ba-ba-ba-bam) is used by the Doosan Bears to encourage their pitcher to be more tenacious. The Hanwha corporation sought out Tiger JK for a long time, and were surprised when he finally came on board for the project. The new Eagles cheer will debut this month and has high expectations. It is said that for a performer to create a cheer anthem like this is rare, but it is progressing quickly and is gaining much attention. Hanwha also plans to make a music video to accompany the song. While many teams have made videos to cheer their team on, this is the first time a baseball team has created a music video for their team. The video will be directed by Feel Ghood Music resident videographer, Lumpens. Tiger JK’s song will be the rebirth for the Eagles and will express the fighting spirit of the team. According to officials, the melody is easy, but powerful enough to encourage both the team and the fans.